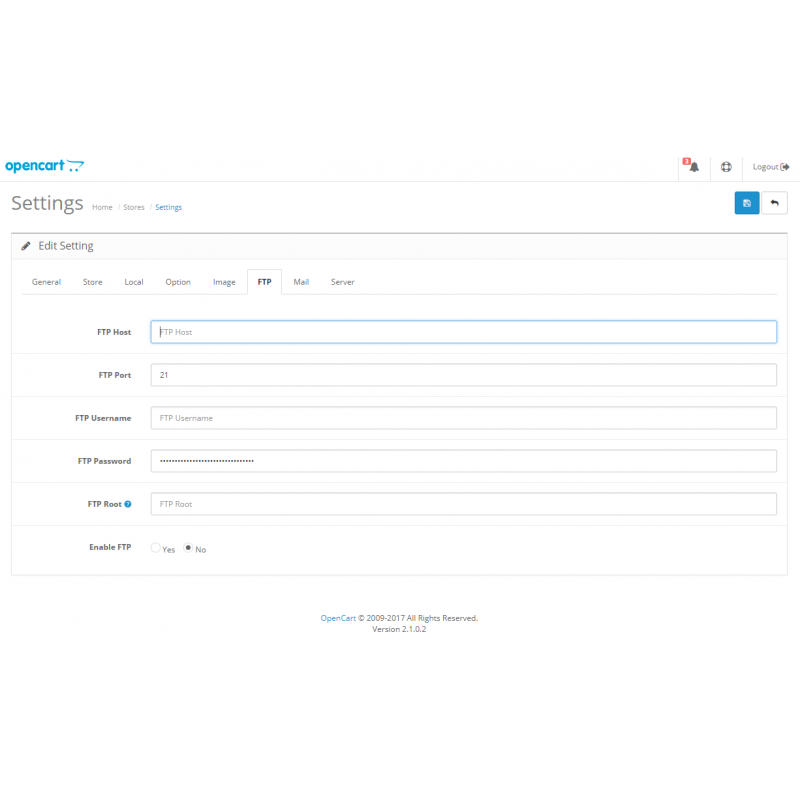 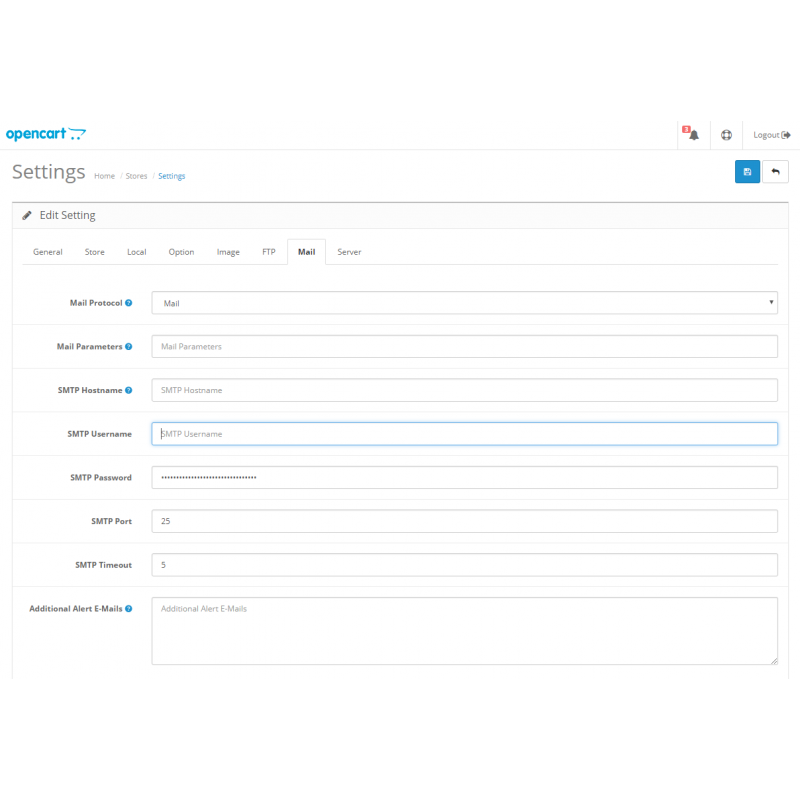 By default Opencart displays your FTP/SMTP password in plain text. 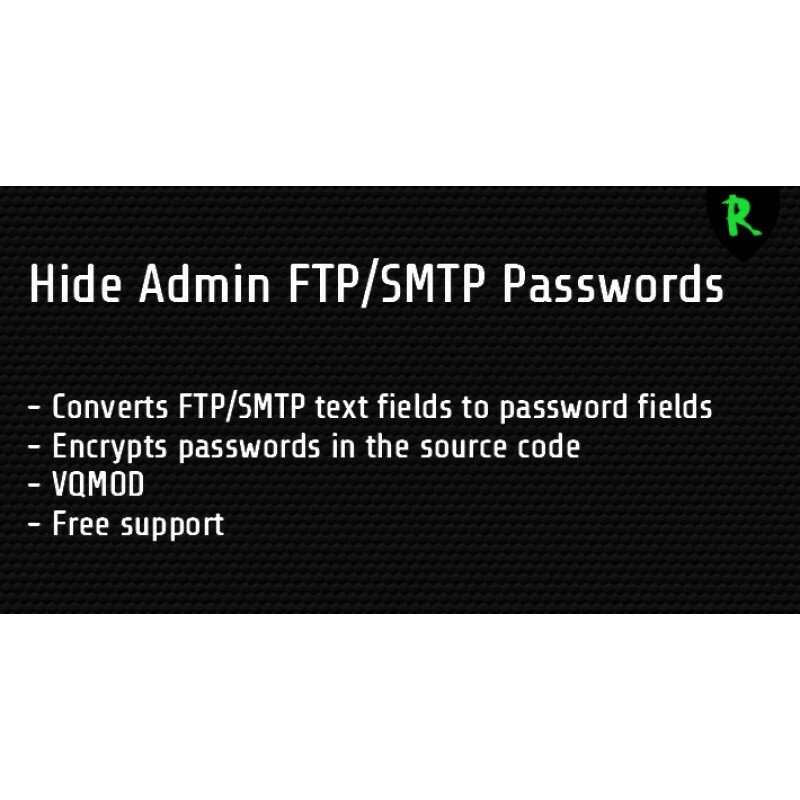 This means when you grant someone access to your Admin they automatically have access to your FTP and Email. 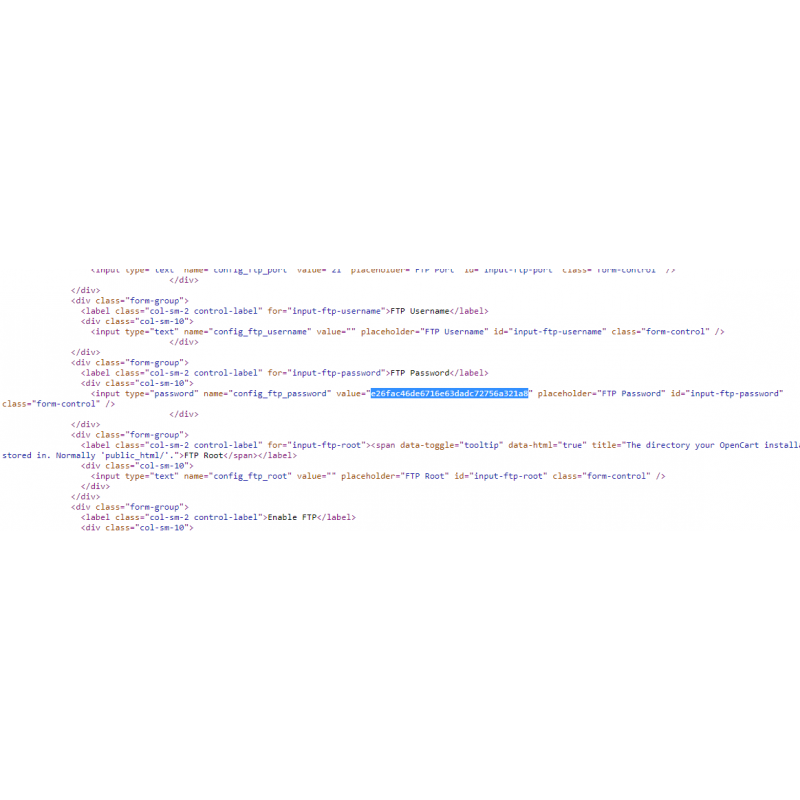 This is a great security risk! 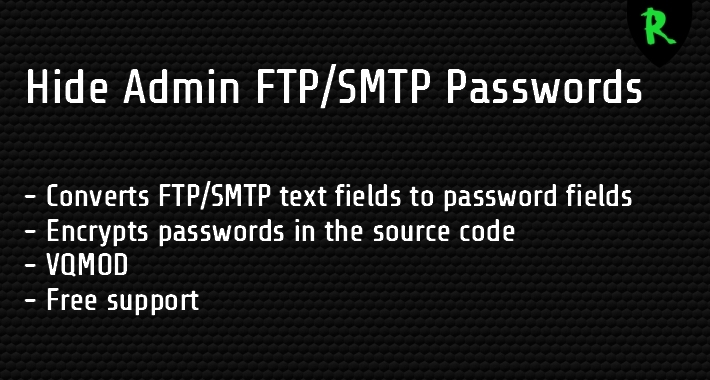 This extension converts the plain text field to a password field and even encrypts your password in the source code of the Admin page.